Here at Kobas, we have been working hard as ever and have not come up empty handed! We are happy to announce a new feature that will provide even more customisation, with the tick of a box. It is now possible for users to set tills to automatically log out after a completed transaction. Prior to this update, this was set on a per venue basis, and required a manual change from a Kobas engineer. This new option allows you to quickly set this yourself, and you can even set it on a per device basis. The great thing about auto log-out is that it provides an extra layer of security for those venues where there aren’t always staff near the tills. For more fast-paced environments where speed is of the essence, the new option is just that: optional. 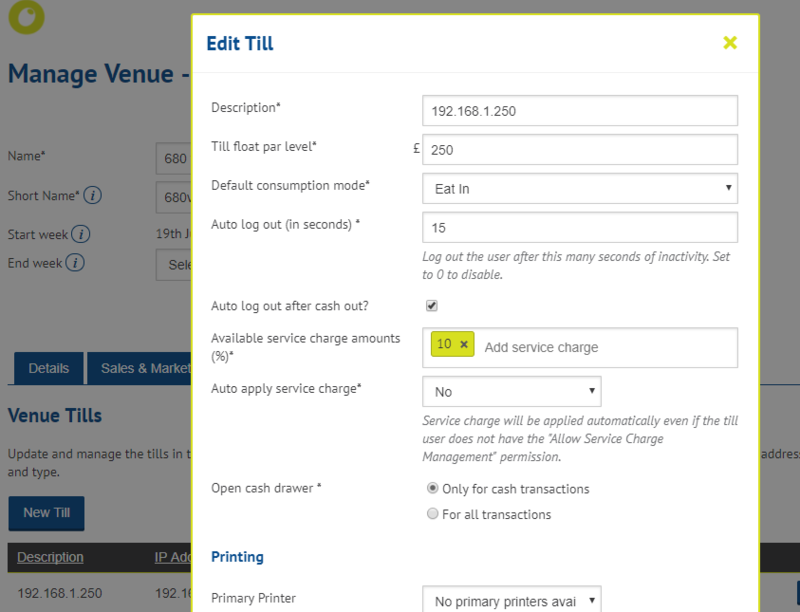 Navigate to Administration > Venues > Venue Details > Tills, and select the till you wish to edit. Here you will see the page as shown in the above image with the new option “Auto log out after cash out?” Tick this box to apply the setting; after a download data in-venue, your till will update. That’s all the updates we have for today, but keep checking back for new exciting developments!